The matte revolution formula has been one of my favourites for some time now and, although I go through a variety of formulas, I always end up eyeing up more colours in this range. With the new release of pillow talk and the temptation to add more hues to my collection, I thought it was about time I shared my love affair with this offering. One of my first Charlotte Tilbury purchases was Bond Girl, a dark pink/brown shade that although I wore it a lot to to begin with, I don't reach for it as often. I think that's down to my new found love, the Pillow Talk Lipstick. I've done a whole post dedicated to this offering so I won't go into too much detail about it, but the formula is super creamy and the hue is extremely wearable - Perfect for swiping on and creating the illusion of fuller, bigger lips. As I said, the matte revolution formulas are creamy and pigmented in formula, the range of lip-loving ingredients helps to nourish and soften, whilst 3D glowing pigments help to deliver a wider, fuller looking lip. 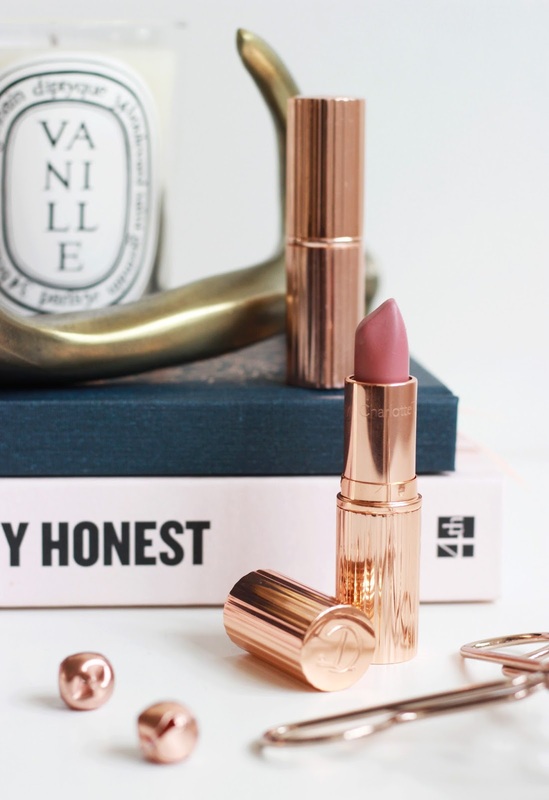 Unlike other matte lipsticks, these don't dry out the lips, so fade evenly throughout the day meaning they can be easily topped up without running the risk of them getting uncomfortable. I think it's important to note that the rose gold casing is one of the prettiest I've seen, feeling luxe and sleek in your handbag - I'm definitely proud to whip this out at any given moment. What Charlotte Tilbury Matte Revolution shades do you recommend?